Everest ที่มีอยู่ใน 6 สีที่แตกต่าง - Aluminium Metallic, Cool White, Sparkling Gold Metallic, Black Mica Metallic, Reflex Blue and Sunset Metallic. 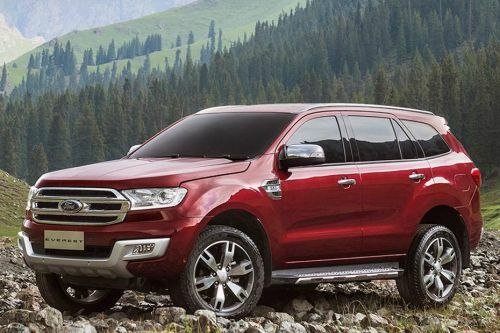 What is the price of Ford Everest ? On road prices of Ford Everest in starts from ฿1.37 Million for base variant 2.2 L Titanium 4x2, while the top spec variant 3.2 L Titanium Plus 4x4 costs at ฿1.77 Million. What are the colors options available in Ford Everest ?